If your marriage is on the rocks, one of your many worries is probably the impact divorce will have on your financial life. Pierchoski Estate Law can support you with a thorough analysis of your assets and understanding of the financial impact of a divorce, but first read these three widespread myths of the financial impact of divorce. Some people believe that if they keep the money they earn in separately titled bank accounts, it is their money, but this may or may not be true. Whether your money is your money in the context of divorce depends on state law, how the money was earned, whether it was inherited and whether you live in a community property state or not. To obtain accurate predictions, rely only on information provided by an attorney or certified financial divorce analyst licensed in your state of residence. After the Divorce, Both Parties Will Enjoy the Same Standard of Living. When there are plenty of assets to go around, both parties are able to enjoy the same or similar standard of living they did before the divorce. However, many American families do not own adequate assets to allow this to happen. Therefore, although many states include the standard of living as a factor to be considered in spousal and child support, the economic realities are that it costs more to support two households than it does to support one. As such, it is often the case where neither party enjoys the same standard of living after a divorce. A Nonworking Spouse Will Get Alimony for Life. 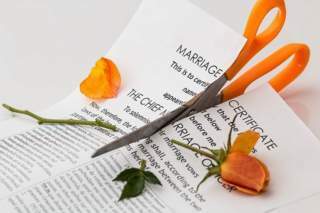 While it is usually true that nonworking spouses will receive some amount of alimony, the time period is often limited to that necessary to allow the person to get back on his or her feet. This type of alimony, usually known as spousal support, is defined by the laws of the state in which the divorce occurs.